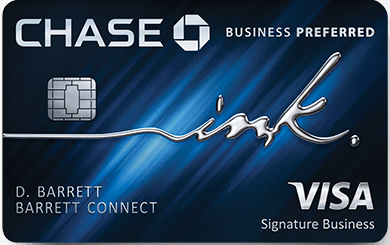 The Chase Ink Business Unlimited has been on my list of cards to pick up for quite some time, and in February I signed up for it. I ended up having to go through a few different steps of verification, but today, after nearly a month since application, I was pleasantly informed of my approval. On top of that great news I was told my card would be rush delivered to me within a couple of days. Wahoo! I thought I’d run through why I decided to add the Chase Ink Business Unlimited to my wallet. The Chase Ink Business Unlimited assess no annual fee. No fee…no brainer. I can combine the points with my Chase Premium Cards for increased value. This is by far the biggest reason the 1.5x is such a big deal, and ultimately the reason I was keen on getting the card. I’m a huge fan of Chase Ultimate Rewards, and since I already carry both a Chase Sapphire Preferred and a Chase Ink Business Preferred it means the points I earn off my Business Unlimited can be converted 1:1 into either of those cards, and then into Chase’s list of transfer partners. If you don’t want the insurance, pay with an Ink Business Cash for 5x points. I was under 5/24 so I didn’t really have to worry about it, but it is a restriction. This was something I didn’t actually need to worry too much about. Since Chase created the rule I’ve pretty much hovered around that ratio, or been below it. If you’ve opened 5 or more credit cards in the past 24 months you’ll be ineligible for this card. There are exceptions to this rule, but by in large, it’s readily enforced. I’m looking forward to adding this to my wallet. Any questions? Are you balanced with MR earning cards or primarily Chase? I have the CFU but rarely use it because I use my AMEX BBP for 2%. I spent years earning mostly UR points but lately concentrating on MR as I seem to be using those more for flights. DWP – I’m pretty even and, if possible, try and use the program that has a higher balance, or if its a flight use points on airlines that I’ve built balances via loyalty and anticipate replenishing via travel. I’m impressed that you’re under 5/24.